The world is full of reports and predictions about how artificial intelligence (AI) and deep learning (DL) will change the future. Some see the changes as positive, others as negative, and still others are predicting a robot apocalypse. But what exactly is AI? How does it work? What’s the difference between AI and the current video analytics capabilities we see from many vendors? Bernard Senekal, MD of Naxian Systems explains that current analytics is based on linear processes: if one event occurs, another follows and so on. That is not AI. Artificial intelligence is non-linear, it learns and makes predictions about what will happen based on analysis of past data instead of step-by-step processes. And despite all the talk of AI and robots taking over the world, he says today’s AI has about the IQ of a shrimp, so we still have some time left. The foundation for this AI learning is data. An AI system is trained by providing it with large amount of data to analyse, from which it can learn. Each bit of data is analysed and categorised, and applied to a model (which is the heart of AI). The more data there is to analyse, the better the model is ‘populated’ and the better the system learns. During its analysis, the AI learns how one event or ‘thing’ influences another in a positive or negative manner. These events and things add up to allow the system to eventually predict when something will happen. 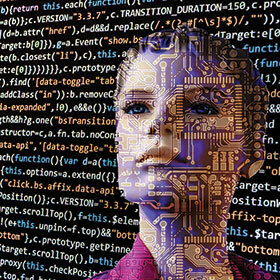 “An AI will deliver intelligence based on current data that says there is a probability that ‘x’ may happen within a certain timeframe,” explains Senekal. Take the life of a hard drive as an example. In a data centre, you can’t simply stop a server to check on the status of the hard drives, but you still want to know which drives are nearing failure so you can replace them without causing problems or downtime. Naxian has fed its AI, called Annie ((Artificial Neural Network Inside Everything), with data from millions of hard drives as they perform over their lifespans. In the security world, the same process could be used to monitor the infrastructure of an estate (or any other security infrastructure) on a continual basis. Once enough data has been analysed, Annie would be able to warn that a UPS is losing battery power, or a camera is about to fail, or that a surge protector isn’t capable of protecting anything anymore. The list is endless, from the component on an electric fence through to the control room. Of course, the question must be asked, how does Annie know what devices are on the network? We don’t want to go through a drama of integration and software development just to get things talking to Annie. Senekal explains that this is not necessary as Annie creates a profile of devices on the network by observing what they do and determines what they are from that profile – a camera, an air conditioner or a surge protector etc. Annie watches the devices and learns their behaviours, and over time is able to build the knowledge to predict when something is wrong or when maintenance is required (assuming these are devices she has not been able to model from past data). This intelligence has been developed by Naxian and will soon be at the stage where Annie can be attached to a network and will be able to automatically identify the attached components, communicate with them and observe them without any manual intervention. Real AI, therefore, offers real-time operational intelligence that delivers value, not post-event reports. Of course, Senekal is aware of the importance of post-event reports and this is actually another area where Annie plays a roll. AI allows for a new type of reporting where large sets of data can be compared and delivered to the relevant person, not only reporting on what happened in the last six or 12 months, but discovering trends and patterns over all the data one can provide. This allows executives to make decisions, develop business models and create strategies based on huge amounts of structured and unstructured data that are analysed and presented in a way that looks ahead and not backwards. The effectiveness of AI, as mentioned above, depends on data and this is why an AI system must be able to collect data from anywhere. Whether it’s structured data such as financial statements, or unstructured data such as chats over the Internet or random directories with any number of files or various types. Senekal notes that many executives are somewhat sceptical about what AI can do for them, so Naxian has developed a process it calls ‘Proof of Value’ (PoV) – as opposed to a Proof of Concept. He says a PoC solves yesterday’s problems, while PoV delivers measurable value for tomorrow. IN a PoV, Annie will be applied to a small part of the potential client’s data and show what results can be delivered. Once executives see what can be done, the sale is made.